My mom worked as an administrative assistant at the hospital 4 miles away from our house. Every night, she came home around 5:30pm, cooked dinner and then we all relaxed while watching Murphy Brown or Friends. Truth is: I thought she spent enough time with me. I felt pretty happy and content. But frankly, I sometimes feel like a failure with this whole mom business. My time with my kids feels stressed. Either they’re yelling at each other while unloading the dishwasher or I’ll suggest something I think would be fun but one of my children doesn’t agree. Or… my daughter acts excited and then just to be contrary, my son adamantly refuses. Or vice versa. You know… just to irk the other sibling. Mom and me time simply doesn’t happen. I get it. Parenting is tough. We constantly feel guilty and our time feels monopolized and rushed. We agonize over the laundry, dishes, homework or we feel like we’re nagging the rest of our family to do this stuff. And then, we feel like we need to schedule additional quality time with our kiddos. I’m here to help you out. Up for a challenge? It’s a little, mini, tiny challenge that will work into our crazy lives and also help us feel like better parents in the process. You need ideas for simple quality time with your kids. The best kind of parent.. Spending quality time with our kids does not need to be ALL fun. I know it’s crossed my mind – as I’m sure you’ve thought this too – isn’t all this fun with no responsibility making our kids feel more entitled? But we don’t need to be the fun parent who is cotton candy on Wednesdays and Dutch Bros on Fridays. Authoritative parents are extremely responsive to a kid’s emotional needs, however hold high expectations. Earn (instead of demanding) children’s respect. Through decades of research, experts found that authoritative parents raise kids who are happier and more successful. They are the types of parents we all aim to be. 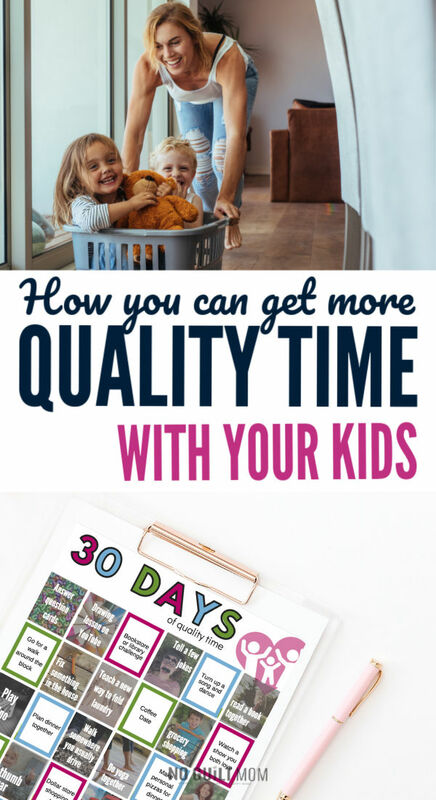 These 30 days of quality time ideas expand on being an authoritative parent. Yes, there is some fun. But you will also find tasks where you teach your child how to fix something in the home, do a new chore or even read together. do tasks with a purpose. Question cards – Print out these card, cut them out, pick a card and have instant conversation starters. Drawing lesson on You Tube – My daughter loves this YouTube channel. The drawings are easy, fun and make excellent bonding time. Folding laundry together – Yes, it needs to be done – why not make it a bonding experience rather than the drudgery it usually is. And oh yes, it’s total drudgery. Teach your child how to fold a specific item of clothing. If they’ve never folded before, towels are a perfect start. Bookstore/ Library challenge – Your mission is to pick out a book that you think the other person would enjoy. Game of Uno – We’re addicted to Uno in the Crohn house. My 5-year-old son asks to play at least 3 times a day! Go Grocery shopping together – you get something done and they learn a lifelong skill. Plus, even I make up excuses to go to the grocery store. One word: samples. Watch a show you both love together – For us, that’s a competition show like “Dancing with the Stars” or “America’s Got Talent”. Challenge each other to a staring contest – see who blinks first. Give your child a manicure – If you don’t like the mess its perfectly OK for to you handle the painting yourself. Print out and hang on your fridge. Mark off the activities when you complete them. You can either complete one a day. Do more on weekends… however you please. 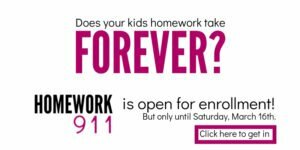 We don’t need to feel stressed out about working in quality time with our kiddos. I understand how hard it can be… trying to get everything done. But our family time can be during chores, making dinner and even on the car ride to school. This calendar will help you out!